Usually I have no idea what I want to wear...until I'm about 4 minutes from leaving my place. So when I was headed to the Casino with my boyfriend, he was prepared for me to take 2 hours to get ready. You can understand his shock when I knew exactly what I wanted to wear! 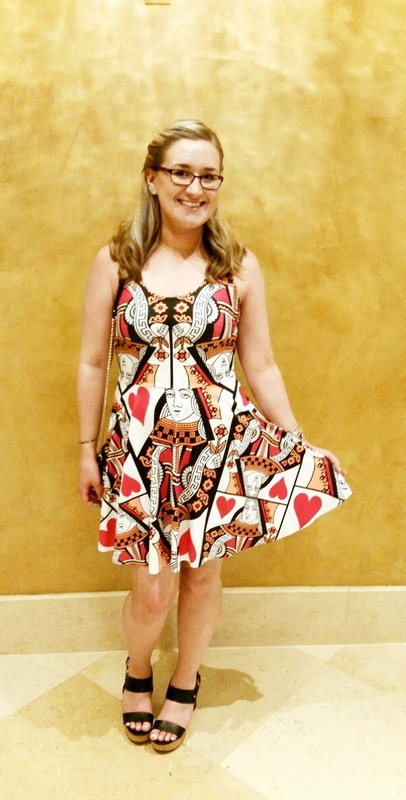 Ironically I had purchased a Queen of Hearts dress a few months ago, which ended up being perfect for the night. 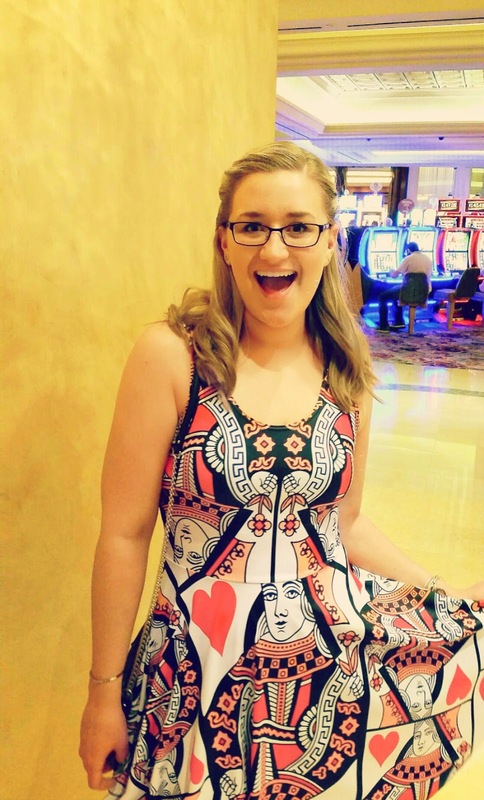 I got tons of compliments from people I didn't know, and it made me love my dress even more! In other news, my blog has finally reached the 3 year mark, and to celebrate I finally bought a domain. *Valley Girl Voice* I feel so professional you guys! If you ever have suggestions on how to make the site better, feel free to e-mail me! I love to hear from you, and appreciate criticism of all kinds. Wishing you all a wonderful week as always! Don't forget to follow my Instagram to see what I'm up to!